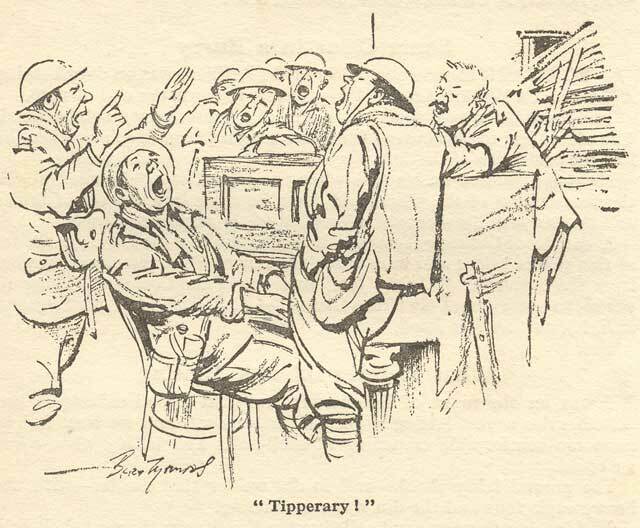 This entry was posted in Homes, Morale, Uncategorized and tagged Albert White, Barford, It's A Long Way To Tipperary, Tipperary by layanglicana. Bookmark the permalink. 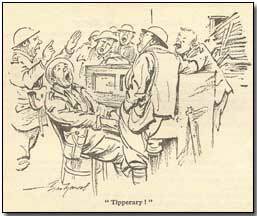 That song Tipperary remained popular in Army Circles as well as the wider public. It was a popular marching song in WW2 and when I joined up in 1967, we sang it on our route marches during basic training – the marches were designed to harden your feet, legs and body to carry substantial weight over distance, the song (among others, some unprintable in polite public) were designed to distract the mind from the bodily suffering and to maintain morale. It’s surprising how much lung capacity that you develop while singing at the top of your voice, while working the body hard at the same time. It helps when you later teach drill, because the booming, cutting voice, broken on the back of Tipperary becomes the voice of the drill sergeant or Regimental Sergeant Major teaching drill or taking regimental parades.